Our goal is to offer access and opportunities for individuals with disabilities to experience the freedom and wonders of the underwater world. 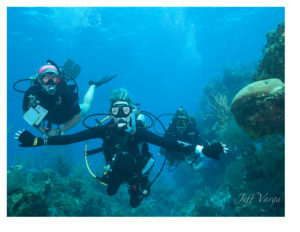 By linking Classified dive centers with classified dive resorts the diver can truly experience all diving has to offer. The Classified diving program is open to all medically qualified physically disabled people as well as other able bodied persons. What does Classified Diving mean? Check out our program! All Rights Reserved. Classified Diving Center Inc.